Proven hulls matched to dependable Yamaha Outboards. Refined lamination techniques. Vacuum-infused stringer grids. Verified installations. Patented designs. More than anything, Pursuit is a dedication to delivering an authentic, high quality product through all levels of development, ultimately providing endless hours of enjoyment to all who encounter it. Pursuit’s center consoles feature yacht-caliber fit and finish, timeless styling, and an extensive list of standard features to deliver the type of luxury experience you’ve come to expect from Pursuit. Pursuit’s stylish dual console series showcases more comfort, innovation and features that have been engineered to bring your sport utility experience to the next level. 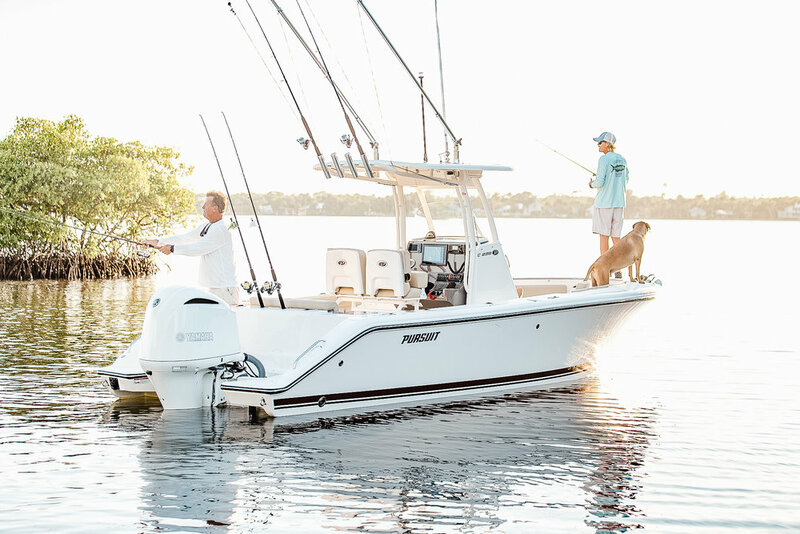 Pursuit’s sport series beckons big-game fisherman and families alike. 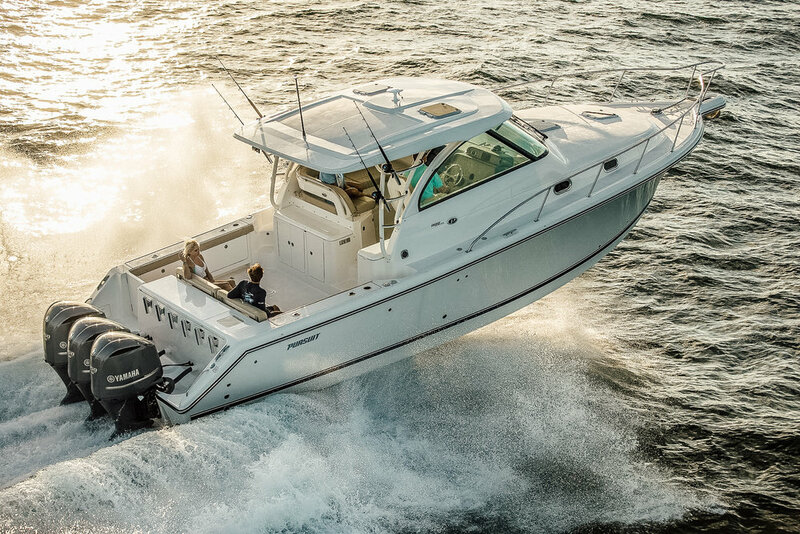 A true center console footprint that delivers across the board. 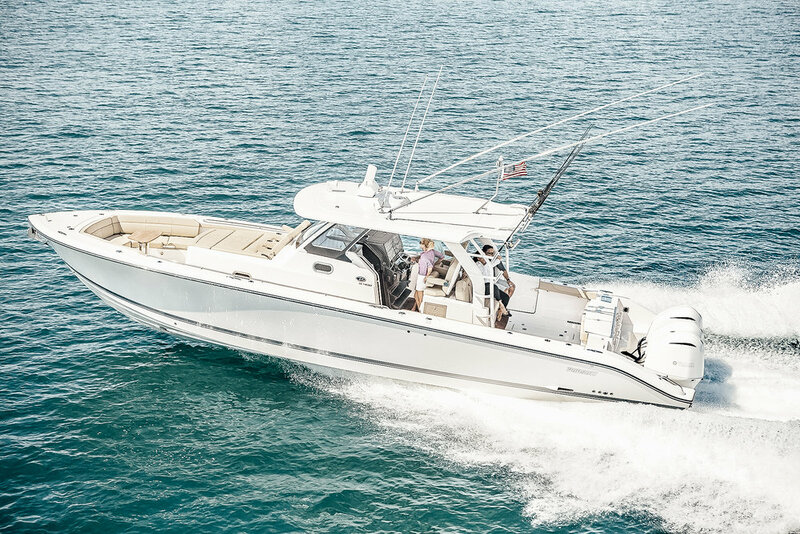 Pursuit delivers an exciting array of award winning offshore models. This product lineup delivers innovation and excellence that takes a winning formula to a new level.